The 36th Annual (ICAC) Institute of Chartered Accountants Caribbean Conference, will be held at The Atlantis, Paradise Island from 21-23 June 2018. Over 400 accountants from the United States of America, the United Kingdom and the Caribbean are expected to participant in this event. This highly anticipated event, is expected to invigorate (MICE) the Meetings Incentive, Conferences and Events niche markets. Thus, this would be the fourth time The Islands of The Bahamas will be hosting this event. Deputy Director General at The Ministry of Tourism and Aviation, Mr. Ellison ‘Tommy’ Thompson, said the country has seen the benefits. 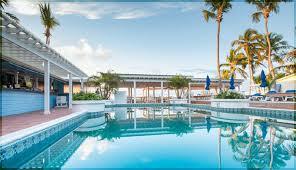 He urged all executives to encourage more conferences to The Bahamas. “We know that the conference and incentives market is important for The Bahamas and we invite you to host your conferences here. We have great facilities here and the infrastructure and technical assistance is exceptional.” said Mr. Thompson. The Vice President of Chartered Professional Accountants (CPA) International, Nancy Foran said many accountants are excited to escape colder climates. “If coming to The Bahamas is not exciting enough to raise the enthusiasm in our profession, then the changes that we are implementing will. There are many topics and perspectives on the agenda and the CPA is delighted to be a part of this year’s event and to participate in the activities on offer. Having been to other (MICE) conferences hosted by The Islands of The Bahamas, I know that this event will be spectacular with warm Bahamian hospitality like nowhere else. The ICAC includes a network of 4,000 professionals throughout the Caribbean. In The Bahamas, there are 515 accountants represented by the Bahamas Institute of Chartered Accountants (BICA).